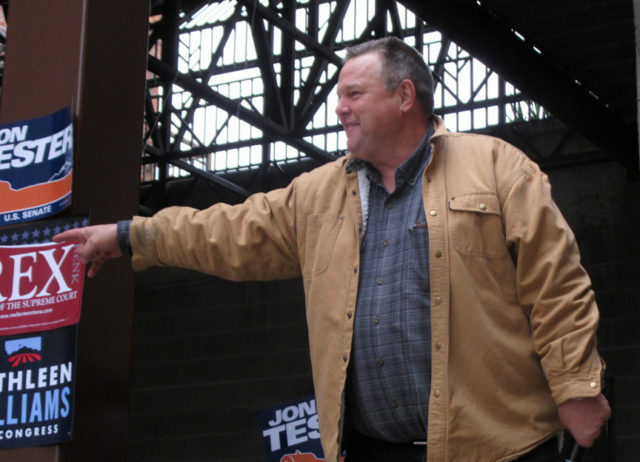 On the eve of the midterm elections Politifact released analysis that whitewashed Sen. Jon Tester’s gun control plan, especially his support of universal background checks. For those who may not understand universal background checks, they are way of criminalizing private gun sales. They require citizens to submit to a federal background check for government approval each time they go to buy a gun. The background check is conducted the FBI. Politifact quoted Republican Matt Rosendale saying Tester believes “believes that we should have a national registration so that the people of Montana should have to ask permission before they purchase a gun, ask permission from the federal government.” Politifact suggested Rosendale’s claim was so outlandish that it merited the label of “Pants on Fire,” as in liar, liar, pants on fire. However, Tester does support universal background checks, which are nothing less than a requirement to seek government permission for a gun purchase. Moreover, universal background checks are not enforcement without a gun registry or accompanying database that lets the government know the location of every gun and every gun owner. The need for a registry would be applicable whether we were talking about firearms or apples. For example, pretend we had federal background check to govern the exchange of apples in this country. How could the federal government be sure one man was not passing apples to his neighbor unless they know exactly who possessed apples and how many apples they possessed? Look at California, which adopted universal background checks in the early 1990s. Those checks were followed by firearm registration requirements as the state sought to ascertain the location of every gun and every gun owner. Rosendale is simply pointing out that Tester supports gun controls that will force Montanans to seek government permission before buying a gun but will eventually lead to registration as well.